Happy Thanksgiving from your friends at History Atlanta. We hope you are having fun with family and friends. Here are a few very random images to check out in between (hopefully) healthy helpings of turkey. 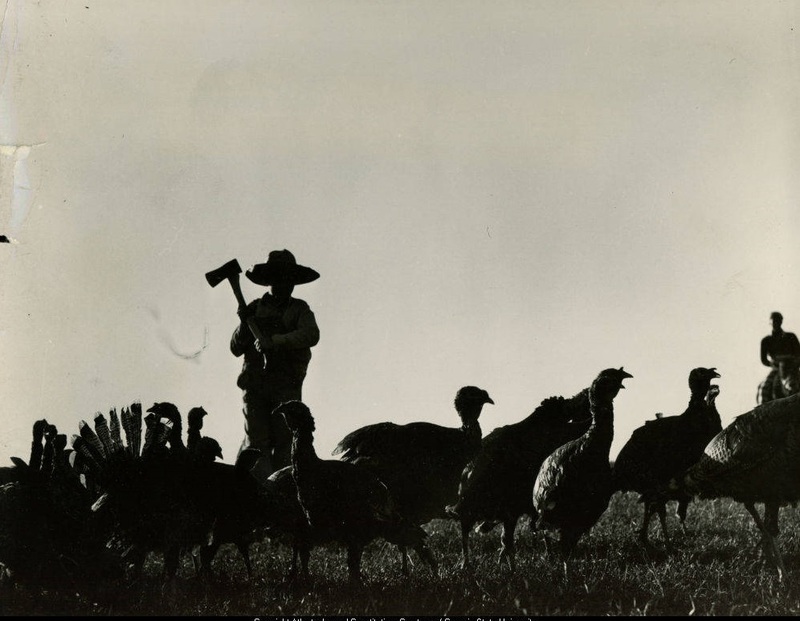 And speaking of turkey, check out the first image, taken at some point in November 1940. Pretty awesome… unless you’re a turkey. The envelope did not include where exactly the image was taken. Gobble gobble! 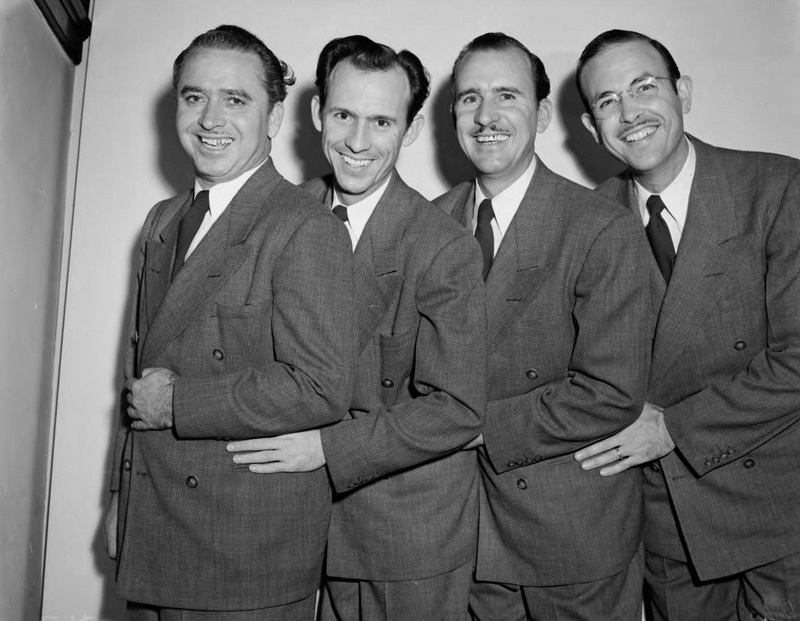 Above are the Swanee River Boys, a gospel quartet that made noise (pun intended) in the 1940’s. 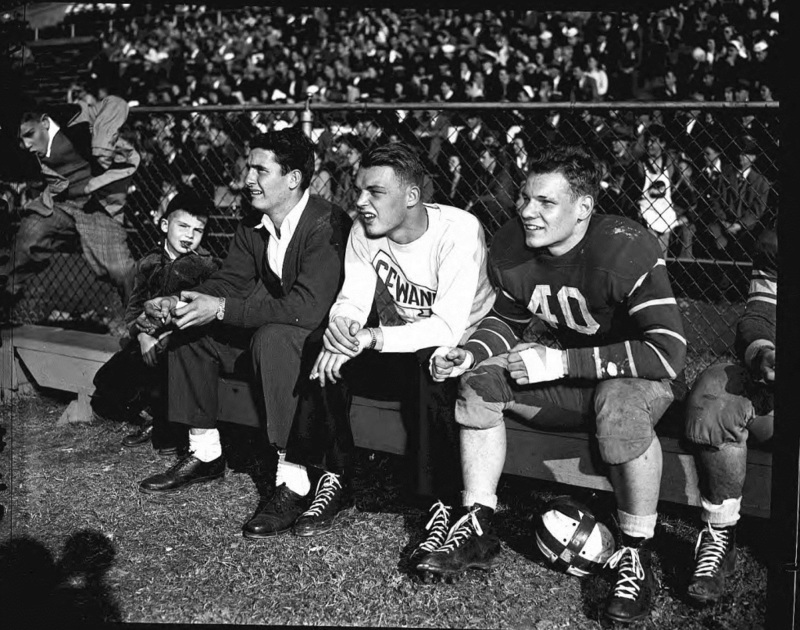 From left to right you have George Hughes, brothers Buford Abner and Merle Abner, and Billy Carrier. This photograph was taken shortly after the Boys claimed second place on the Thanksgiving Day broadcast of the NBC Radio show “The Big Break” in 1947. They thrived on the radio, particularly WSB’s “Barn Dance”, starting in March of 1941. It led to prominent roles on other WSB programs. The core met in Alabama, and they jumped around Knoxville and Chattanooga during the 1930’s using names like the Vaughan Four and Buford & Merle before landing in Atlanta to perform at WSB. They disbanded for a short period during World War II, but came back to action in the late 1940’s. They eventually moved to Cincinnati and then Charlotte. By the late 1950’s they had dispersed, moving across the South and Midwest. It was always one of the largest football games for both sides throughout much of the 20th century. From 1933 until 1993, on each Thanksgiving Day, the University of Georgia freshman (and in later years the junior varsity) would take on the Georgia Tech freshmen for football supremacy. 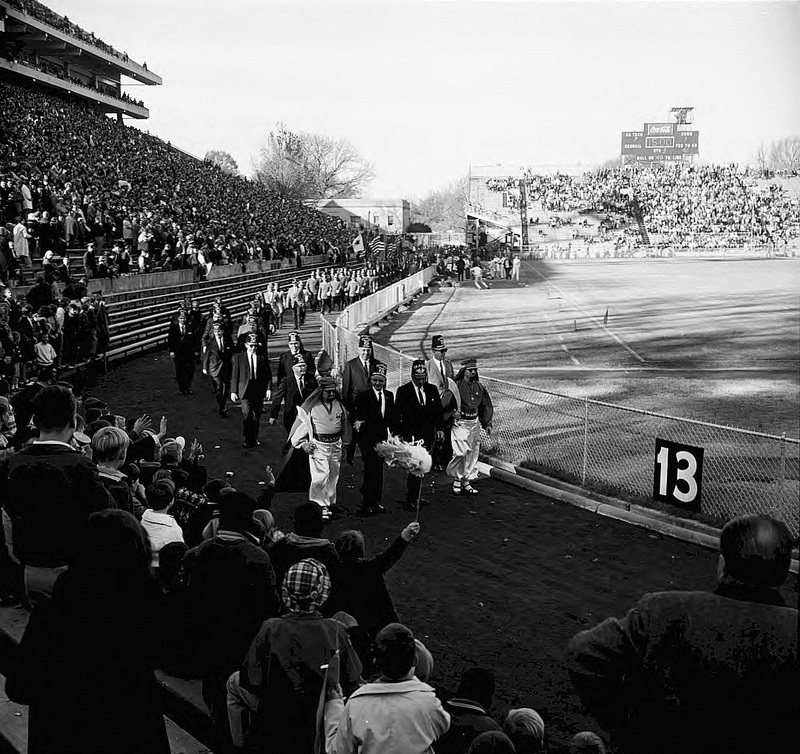 They would meet at Georgia Tech’s Grant Field in Atlanta. For a short period of time it was an event that received national attention. Some younger fans may forget that until 1972 freshmen were not allowed to compete in varsity NCAA sports, so these contests were ways to gauge upcoming talent. It was basically a charity event for the Scottish Rite Children’s Hospital. It was started by Georgia coach H.J. Stegeman and Georgia Tech coach William Alexander in 1933. All proceeds from the ticket sales were donated to the Scottish Rite. The winners were presented with the Governor’s Cup. It morphed into the “Legends Game” in 1994. 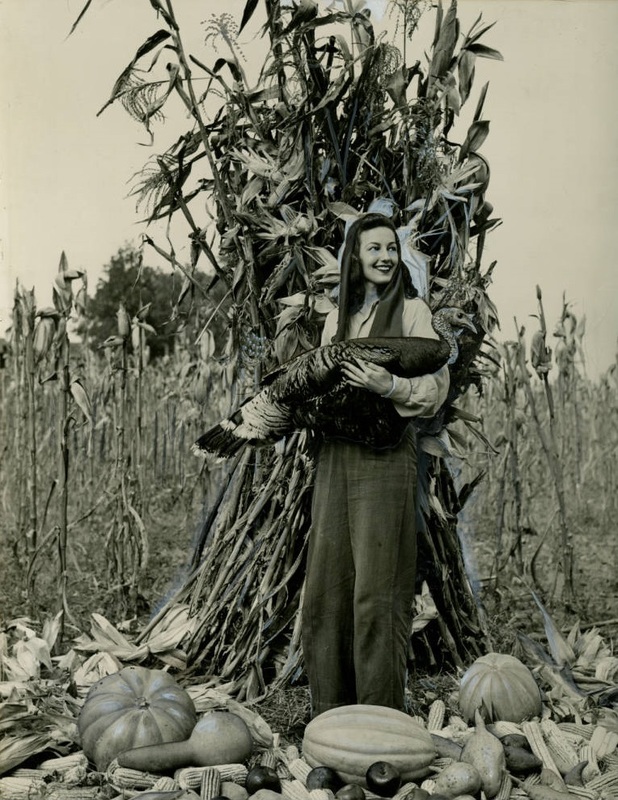 The last image was found, like the others, in the Georgia State University Archives because it is labelled Thanksgiving. It was taken at some point in the 1930’s. Apparently there is a thriving subculture dedicated to Thanksgiving pin-up girls. Who knew? Well, quite a few people other than me. And with this last image burning in your brain, I say Happy Thanksgiving! Now go talk to your family!